It’s only recently that I tried my first product from organic skincare brand Odylique by Essential Care. That was their natural sunscreen which I reviewed in this post. After trying their sunscreen I decided to have a browse on their website to see what other products they have in their range. Superfruit Concentrate grabbed my attention and I was sent a free sample to try and review. I’ve tried several different facial oils so far and Odylique’s Superfruit Concentrate joins my favourites. At the moment I cannot actually decide which one I prefer as I love them all: Neroli Lucé Revitalising Face Oil, Botanicals Radiance Serum, Suti Rejuvenate Organic Facial Oil and now Odylique Superfruit Concentrate. 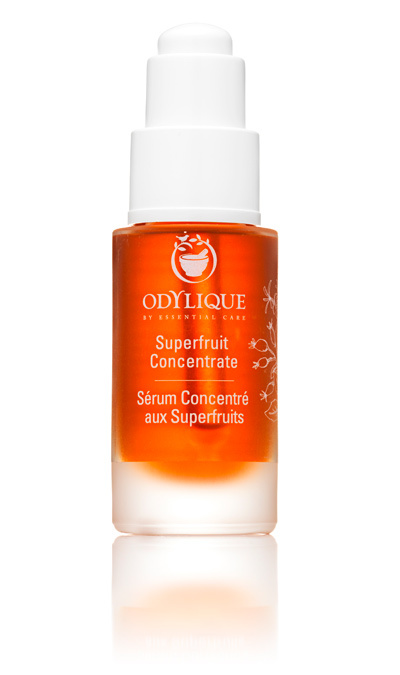 But Odylique Superfruit Concentrate is a really special facial oil. What really sets apart Odylique Superfruit Concentrate is its colour. It’s so rich and vibrant, just take a look at the picture above. I was blown away by it when I first saw it. Odylique Superfruit Concentrate is certified organic by Soil Association and contains 100% organic ingredients. A list of ingredients is short but powerful: cold-pressed avocado oil, concentrated extracts of pomegranate, rosehip, rosemary and sea buckthorn fruit. This blend is an amazing treatment for skin. It looks and feels super concentrated, bursting with omega fatty acids, antioxidant vitamins and nature’s miracle phytosterols which have an anti-ageing effect and encourage collagen production. You only need 2 or 3 drops of this concentrate to combat dry skin or when your skin needs an instant radiance boost. Vibrant plant polyphenols provide a natural tint for added brightness. If you are using the concentrate together with your moisturiser you should apply the moisturiser first and then the concentrate as this will help to lock in the moisture. I’ve been using this wonderful oil on my combination skin in the morning and in the evening. It absorbs quickly and does not linger on the skin leaving it feeling oily. You can easily wear makeup on top of it, I did this all the time and never had any problems with it. It’s also worth noting that it didn’t cause my skin to break out as I know some oils may give people this kind of issue. The scent is not very strong and it’s a bit difficult to describe, it’s kind of fruity and very natural. Definitely not unpleasant. 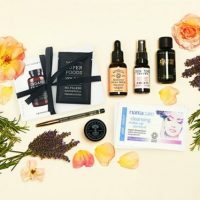 After using this face oil my skin would feel baby soft and silky. I think it helped to heal any blemishes I had and really kept my skin free of any dryness which I sometimes experience. Just in case you wondered, Odylique Superfruit Concentrate is suitable for dry skin, combination skin, ageing skin and more. It’s also suitable for vegans as it doesn’t contain any animal ingredients and it’s never tested on animals. It’s a shame that the sample didn’t last me not even for one week but at least I got to try it and I am definitely buying a full-size bottle in the future. This oil is just wonderful, one of the best facial oils I’ve ever tried. Its powerful ingredients will leave your skin nourished and make it glow but most of all they will tackle your fine lines and prevent any more damage from happening. With winter approaching this will make a great winter skincare staple. Highly recommended. At £33 for a 30ml bottle, it is actually pretty affordable. Not the most expensive facial oil and not the cheapest but for the quality you are getting the price seems just right. If you want to try a sample first you can buy it here. For a full-size product check this page. 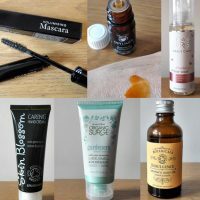 What is your favourite facial oil? Have you ever tried Odylique Superfruit concentrate? Facial oils actually help to regulate sebum production so your skin will feel less oily. I have oily t-zone which didn’t get worse with the use of this oil. Rosehip is great for treating blemishes, it helps to repair your skin. I am loving oils at the moment! I am really starting to get into natural products too. I am obsessed with facial oils at the moment! I keep trying new brands so I can compare them between each other. I will be reviewing more facial oils on my blog in the near future.